I'm glad that I didn't listen to the review on how bad the narrator was. I thought she did a great job and am looking forward to other books read by her. Some of the stories we're not as good as others but over all a really great book. Worst narraration I've ever heard! The narrator is so painful to listen to it actually gave me a headache. Stay away! Would you try another book from the authors and/or Cathy Dobson? Yes, I would try another book from the authors. On the whole the stories were excellent. the stories were read in a monotone. I am used to readers changing their voices as the read . Could you see Fireside Tales being made into a movie or a TV series? Who should the stars be? 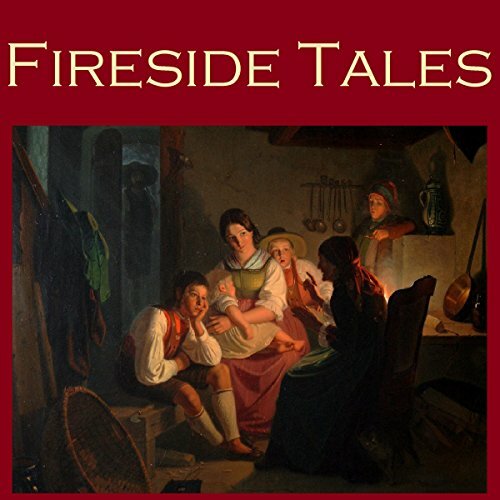 What disappointed you about Fireside Tales? The cadence of the reading was, after noticing, unbearable. Couldn't tell, the focus was on the reader, not the story. If you could play editor, what scene or scenes would you have cut from Fireside Tales?